Police at the scene of a drug raid at Bundamba on Friday morning. 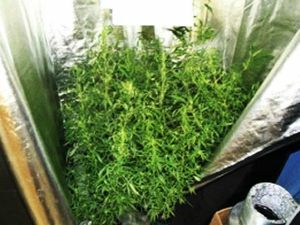 Crime A sophisticated cannabis set up worth up to $1 million is being dismantled at Bundamba. Crime Neighbours say there were clues something was going on at the house with the residents rarely seen.